With my family`s busy schedule, it`s difficult to get good meals on the table during the week without doing some upfront prep work. So I set aside an hour on Sunday afternoons to prep ingredients for the meals I have planned for the week ahead. A couple weeks back, I had Tortellini Kale Soup, Sloppy Joe Sandwiches and a Vegetable Stir Fry on my meal plan, so I diced a carrot for the soup, cooked ground meat for the sandwiches, and whisked together a sauce for the stir fry. Dicing a carrot ahead of time for a soup recipe may not seem like much, but it felt like a game changer when I made the soup on a night when kid number one (the girl) had piano lessons, and kid number two (the boy) had guitar lessons. Prepping ahead may make cooking during the week more manageable but it can also be a small pain if chopping and dicing vegetables eats up a lot of your free time on the weekend. When I was learning to cook, I wasn't very quick at dicing vegetables. It wasn't until I went to a cooking class that my knife skills began to improve. The cooking class taught me to cut vegetables with a round surface in half so they sit nice and steady on the cutting board when you chop or dice them. I also picked up a few more knife skills watching a Jamie Oliver cooking show. He demonstrated how to use every part of the blade when chopping, slicing and dicing. One of his tips was to run the tip of the chef's knife along the cutting board when slicing. I also noticed the blade of his knife was always in contact with the cutting board when he diced. 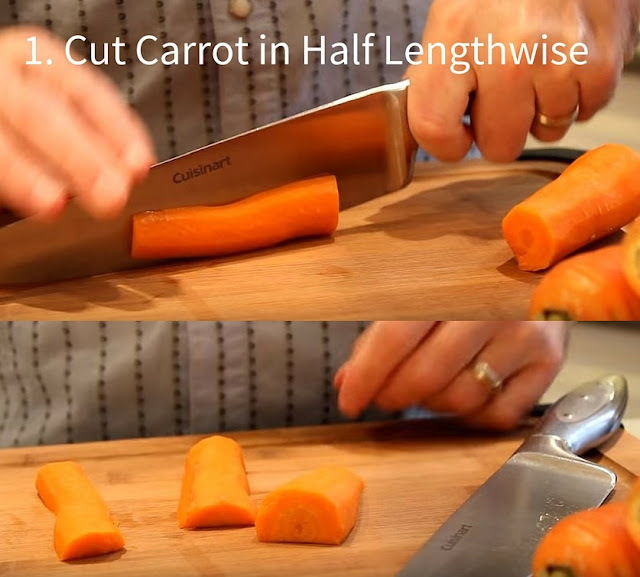 With these tips, and some practice, I`ve been able to improve my knife skills to the point where it no longer takes forever to dice a carrot. With that said, I'm sure there is more to learn. 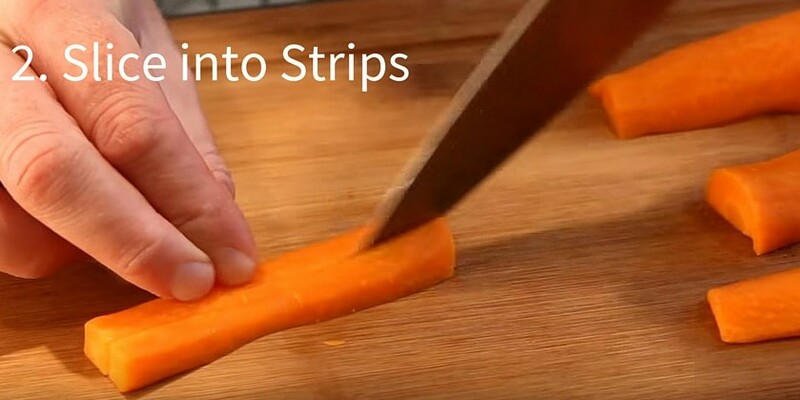 So even though I titled my cooking video "How to Dice a Carrot with Ease", it really should be titled "What I Know so Far About Dicing a Carrot with Ease." Regardless of the title, I hope what I've shared in the video makes your experience dicing a carrot a little easier. Step 1: Cut the carrot in half lengthwise. This allows the carrot to sit flat and steady on the cutting board. Step 2: Run the tip of the chef's knife blade along the cutting board, and through the carrot, to cut the carrot into long strips. The more strips you cut, the smaller the dice. Step 3. Use the curve of the chef's knife blade to your advantage when dicing. Keep the blade in contact with the cutting board as you push the knife forward and through the carrot strips to dice them. Rock the blade back on its tip to start your next cut. Have a tip on how to dice a carrot? If you've got extra tips I didn't mention in the video, let me know in the comments! I look forward to learning something new : ). If you liked this video, subscribe on YouTube to stay updated and get notified when new ones are out. 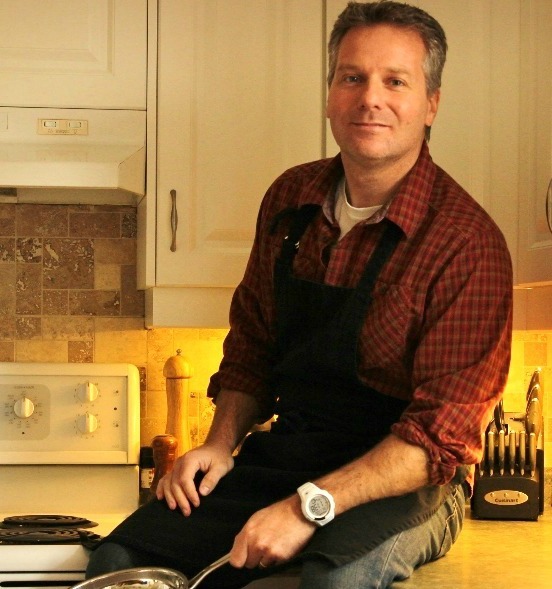 Brent Garell is the guy behind Cook-a-Palooza. 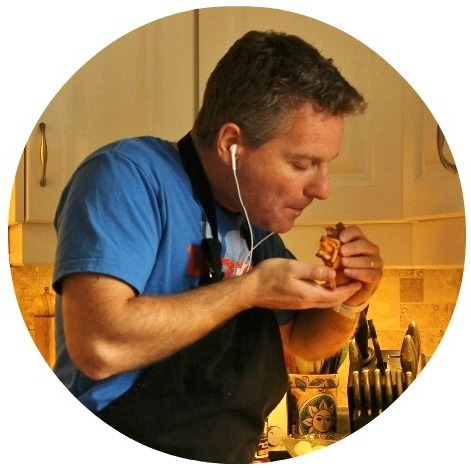 When he's not stuffing his face with food, he's blogging, shooting YouTube videos, creating online cooking courses and travelling to local campuses to equip students with cooking 101 skills. He's on a mission to make cooking easy! Hi I'm Brent! The recipes you will find on this blog, and my weekly updates, are easy dinners my family and I have enjoyed, favorite weekend eats, along with a few greatest hits from my cookbook - and some boiled down wisdom on how to save a ton of time (and frustration) when cooking. CLICK HERE FOR MORE DETAILS! 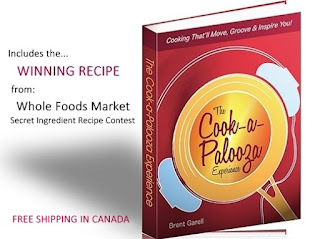 Illustrations, Photos, Original Recipes and Text (C) Copyright: 2007-2018, The Cook-a-Palooza Experience by Brent Garell. 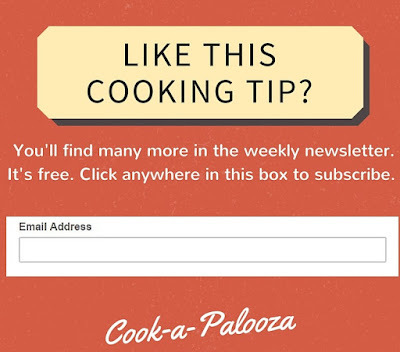 If you re-post a recipe please give credit and paste a link to this site.